London’s story is inexorably linked to the River Thames. Whether as a Roman provincial port, seventh-century riverside settlement, or a major European and global city, the Thames has played a significant role in London’s rise to prominence. Many questions can be asked about the physical structure of the port of London and its transport links, as well as the network of commerce which flowed in and out of the settlement. 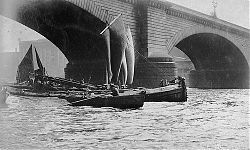 A particular interest is to understand the social and economic role of the Thames through time. A full list of the research themes related to this topic can be found in the Riverpedia Research Framework. 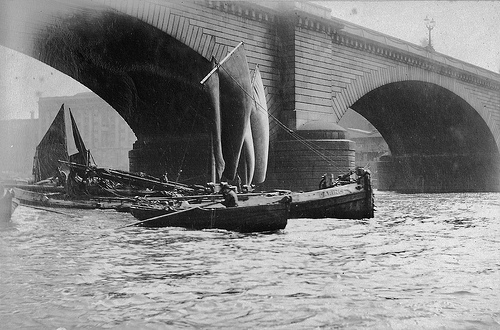 The photo above was taken in 1886 and shows a hay barge passing under London Bridge.